residential buildings especially high rise ones. 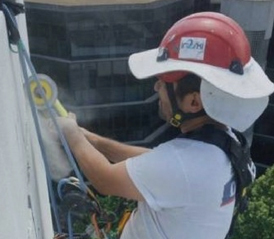 Sonaa Abseiling Service is experts in solving building and facade maintenance issues using industrial abseiling. . .
Sonaa Abseiling Service provides reliable and comprehensive inspection reports which will help you to plan your maintenance requirements . . .